"The second was so powerful that it could be seen with the naked eye..."
No worries. There is also a way around paywalls, but I don't want to post it here for legal reasons. Unfortunately there is no pm system on here. "So if it has an atmosphere and has water, Prox b has a pretty good chance to be habitable" said Del Genio. 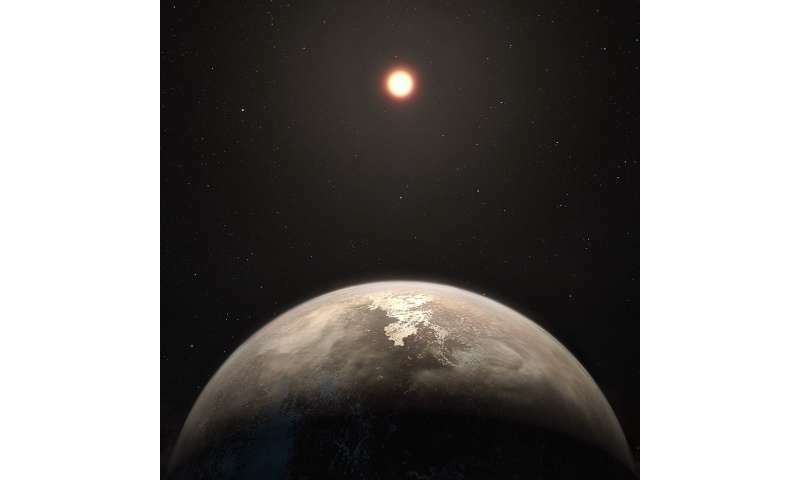 With a minimum mass of 1.27 +0.19/-0.17 Earth masses (M⊕), the chances of an atmosphere and water are excellent. So if Del Genio is right, Prox b has a pretty good chance to be habitable. Yesssiree! 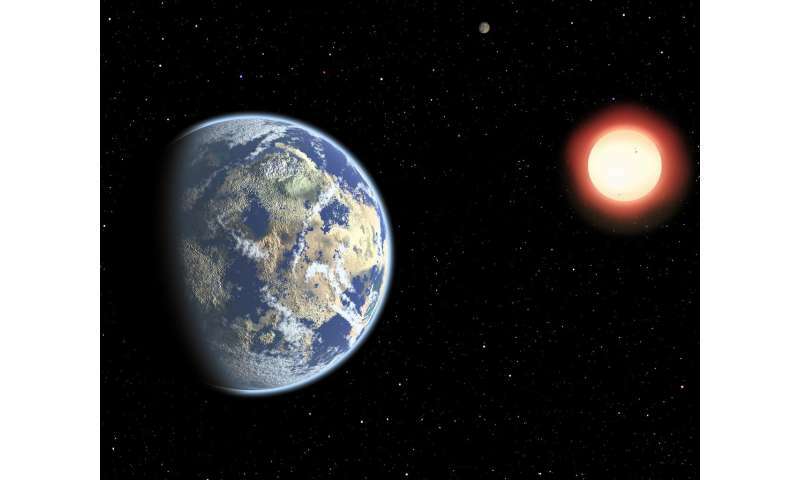 Small rocky planets approximately Earth size, such as Venus and Proxima b must have an atmosphere and water. There is no evidence detected to date for atmosphere or water on Proxima b? There just has to be! Cause, cause, uhhmm, uh... Well uhh, there just has to be! This is the only planet in the universe that could support human life. There appears to be a strong positive correlation between Earth-size planets and having water and atmosphere. rrwillsj has provided no evidence otherwise, but mentioned Venus. We know Venus has a huge atmosphere right now and it used to have oceans of water like Earth and Mars, but lost most of it like Mars. We know this because the ratio of water with deuterium to regular water is very high on Venus. rrwillsj, nobody is saying we know what to expect on Prox b, only that it has "a pretty good chance to be habitable." We can hope, can't we? We only have to look at our solar system at the planets where life has flourished and which planets our devoid of even microbes as a marker to aid the search for life, were singling earth out for a specific reason, as all the other 8 planets are devoid of by earthly standards anything that can be remotely described of life. Knowing planet Pluto, as all the ingredients of life are in comets, Pluto's got more chance of resident microbes being practically designated a comet. Earth has the entire ingredients, the right size, the necessary moon, 24hour day 365 a year, the right orbital distance from its star giving earth the correct amount of heat. okay Mark, I can see that I'm rather a wet blanket on the hopes of those desiring "Humans in Space!" However, my concern is? That these constant empty promises of finding El Dorado in the sky... Are eroding Public support for scientific research in general, not just in space. The pretty pictures are nice? I guess? I would prefer less hoopla and drum beating victorious claims before actually accomplishing the deed? Who knows! If we pretend that enough of the Public are reasonably intelligent, common sensible adults? Wise enough to not be commenting on this site! And make an effort to be forthright and informative? Explain that there are no easy answers or simplistic means to explore the Cosmos. It takes a multitude of committed professionals and substantial technological resources to expand our knowledge of this Universe. Assist NASA with displaying all the benefits and advances that to date, have benefited all Humanity from the Space Program. That these constant empty promises of finding El Dorado in the sky... Are eroding Public support for scientific research in general, not just in space. This is where we disagree. Your premise (finding El Dorado) is incorrect and more generally, space exploration has always stimulated interest in and support for science in general. BTW, there is every reason to believe there is all the gold you could ever want in the asteroids in our solar system, not to mention beyond that there are valuable things like terraformable planets, habitable planets, and probably inhabited planets. You want a city of gold? One may even be out there. About there being no easy answers and highlighting the benefits of a Space Program, that we agree on. 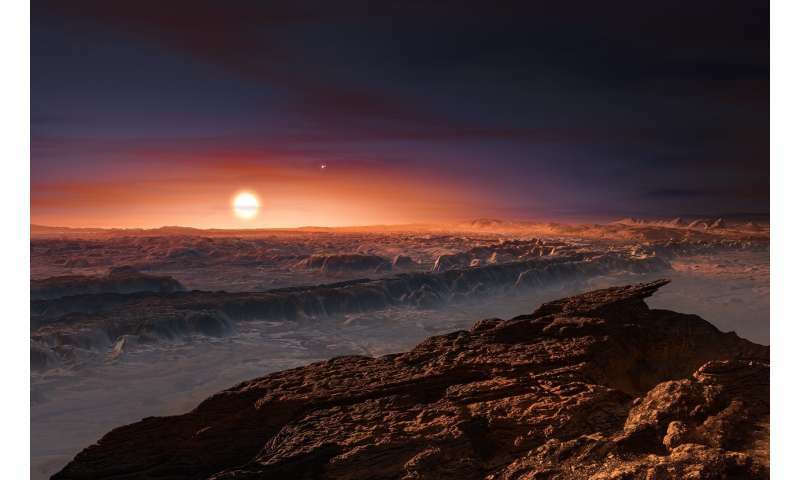 "Second, it might have formed with ten times the water that Earth did; so even if Proxima Centauri's harsh radiation stripped away 90% of its water, it would still have enough water to have an ocean." Been saying so for years. And Earth is dry as bones in comparison with our outer system. ... to see that life evolves easily, since it evolved at once. Comparable certainly, which is part of the fascination besides fining life at all. It is a trivial consequence of evolution that we won't find another H. sapiens - species are unique - but it also trivial that the possibilities are there such as for meaningful communicators since we have seen many human species come and go. Self-awareness looks simple now say, a stem fish (wrasse) is a candidate for having passed the spot test. That may be your concern, but it is not the concern of astrobiology which is simply looking for constraints for life and what live has evolved - which there is ample support for. There will always be people who do not understand the purpose or the results of science ... or of art, society or even food et cetera in decreasing order of capacity to grok the world. So what? Well b_, I guess you never talk to anyone outside these phys.org comments? Or, to be more exact, refuse to listen to those who have the nerve to hold different opinions than yours. There is a serious percentage of American society who resent and deny scientific accomplishments. Just check out the tantrums by woo cultists in these comments. They are just the tip of a very deep iceberg of reactionaries with frozen intellects. Unsubstantiated speculations and unproven claims will offend and drive off those whose taxes votes and private investments have supported scientific advancements for several generations now. They will suspect you are treating them as gullible sheep. If we lose their support? How will you compel their obedience?